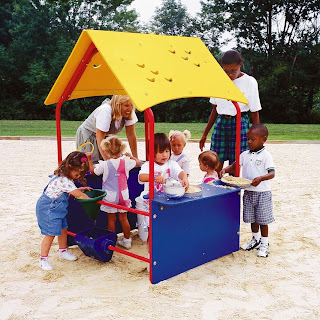 AAA State of Play Blog: How to Make a Safe Playground for Kids? Playground will always remain the first choice of kids. They love playing with their friends on different equipment in these parks. No doubt playgrounds are fun but when it comes to the safety of children only few of them turn out to be safe for kids. If you are handling your community park, make sure it is well equipped with the measures to provide a safe play area to children. You should cover the surface of ground with high quality mulch. It provides cushioning surface and prevents the risk of any kind of injury to kids. There are different types of mulch like Engineered fiber, Pea Gravel etc. available in the market. A majority of people prefer installing recycled rubber mulch for its numerous benefits. Always buy the play sets for playground from an IPEMA certified manufacturer as he offers only superior grade equipment to their customers. Before making the final purchasing decision, make sure all the guidelines defined by ASTM and CPSC have been followed while constructing the equipment. Also, ensure that there is no pointed edge or rough surface left uncovered in the playground equipment. You must label children's play equipment well. No single equipment is appropriate for kids of all ages. Manufacturers usually keep a certain age brackets in mind while defining aspects like height and complexity of the play sets. Therefore, you must label the equipment in your playground to let guardians understand which set is appropriate and safe for their kids.